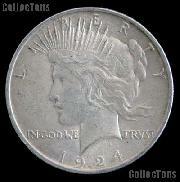 The Peace Dollar design was created by Anthony de Francisci, who won a design competition sponsored by the U.S. Mint in 1920. The design for the Peace Dollar had to meet certain criteria, including that the obverse depict the head of Liberty, to be made "as beautiful and full of character as possible." 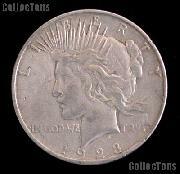 The reverse of the Peace Dollar would depict an eagle, as required by the Coinage Act of 1792, although the particulars of the design were left to the discretion of the artist. 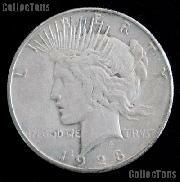 The final requirements were that the coin needed to bear the denomination, the name of the country, "E pluribus unum," the motto "In God We Trust," and the word Liberty. 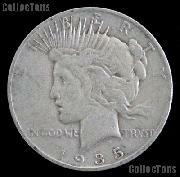 De Francisci based his Liberty for the Peace Dollar on his wife, Teresa de Francisci. 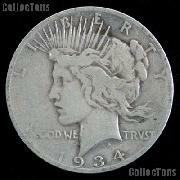 The radiate crown that Liberty wears on the obverse of the Peace Dollar was explicitly designed to recall the Statue of Liberty. 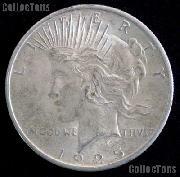 The eagle featured on the reverse of the Peace Dollar was the source of controversy when the design was initially described to the public. The eagle on the reverse originally held both an olive branch and a broken sword, both of which were intended to symbolize peace. 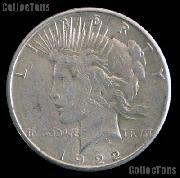 However, many people saw negative connotations to the broken sword, and the Mint removed that feature from the design of the Peace Dollar, leaving the olive branch to symbolize Peace. 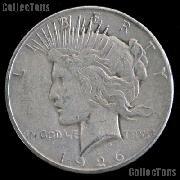 The Peace Dollar was minted from 1921 through 1928, and again in 1934 and 1935. 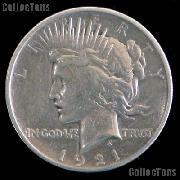 The Peace Dollar was the last United States circulating dollar coin to be struck in Silver. 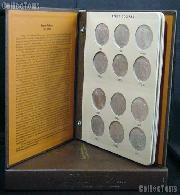 All Peace Dollars had a .900 (90%) silver and .100 (10%) copper composition, with a diameter of 38.1mm and a mass of 26.73g.